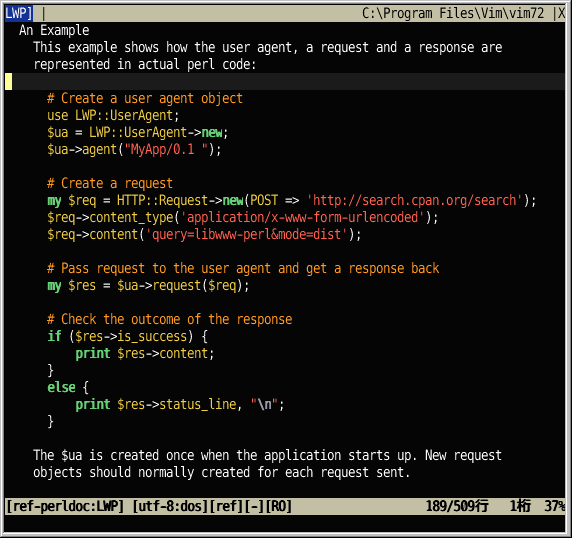 GitHub - thinca/vim-ref: Integrated reference viewer. \ b:ref_source ==# 'perldoc' ? \ (b:ref_perldoc_mode ==# 'module' ? ":\<C-u>Ref perldoc -m " . \  b:ref_perldoc_mode ==# 'source' ? ":\<C-u>Ref perldoc " .